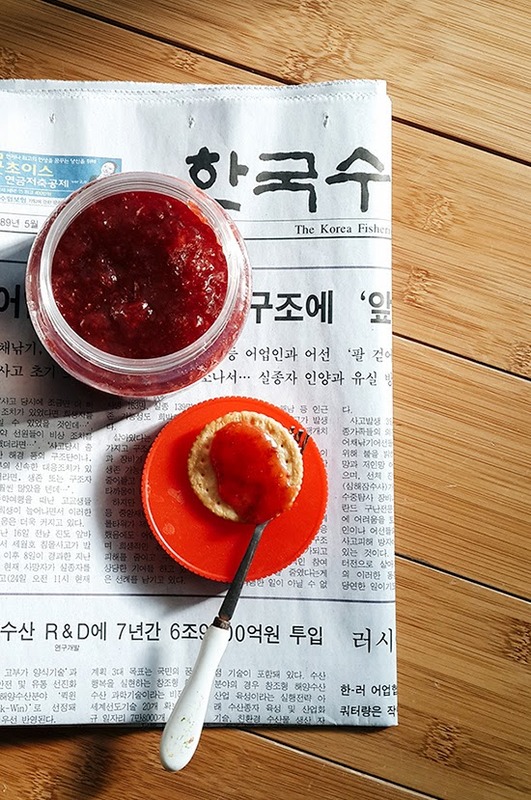 We had overripe strawberries sadly laying around so John's mum taught me how to turn it into strawberry jam. It easier than I expected but the amount of sugar used was quite insane (just imagine how much more the factory uses!). 1) In a pot, turn on the heat and drop in the strawberries and let it "sweat". Do not add water, there's no need for water at all! 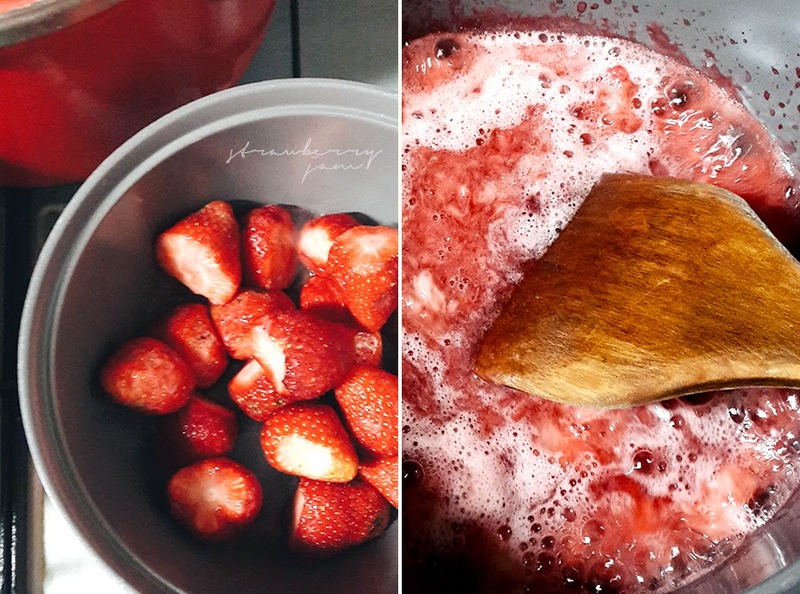 2) Let the strawberries boil into a pool of liquid and then using a wooden spatula- mash any visible strawberries in sight till it's fine. 3) Continue to let it shimmer for a few minutes until it thickens a little, then add in sugar. *Be careful while adding the sugar as the hot liquid might splatter out. 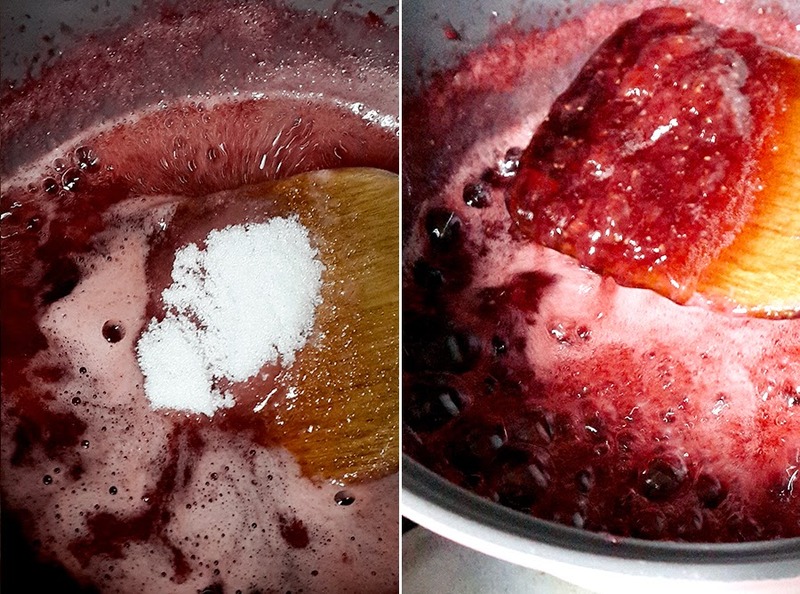 4) Once you add in the sugar, you can instantly see the change in colour (it will be darker). Consistently stir and let it shimmer until it thickens further. 5) Turn off the heat and let it cool in the pot before storing it in a jar.